K-Seal can permanently repair a cracked or leaking intake manifold which can cause engine overheating. What are the Symptoms of Intake Manifold Failure? Symptoms of intake manifold failure can be difficult to identify as such, so it’s important that you are familiar with problems that might seem relatively minor, but which could be an indication of significant intake manifold issues. How Much Will Intake Manifold Repair Cost at a Garage? 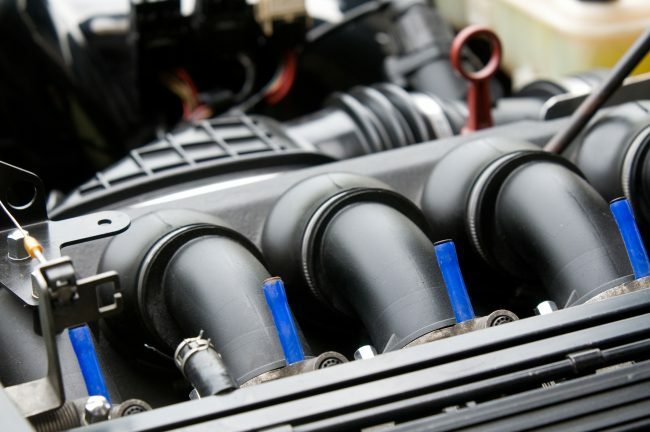 Although the cost of replacing an intake manifold will vary depending on the make and model of the car, many estimates have the cost of the part at around $300, with much of the cost of the job coming from labour and time spent on it. This can be a significantly higher sum – as much as $900 – and in some cars it may not be worth going ahead with the job. Can K-Seal Fix My Intake Manifold? If there is a coolant leak then, in most cases, using K-Seal will help to quickly and permanently stop the leak, saving you a lot of time and money. Use our simple stockist search facility to find a bottle and get back on the road. An intake manifold directs the mixture of air and fuel to the right cylinder to be combusted so it can power the engine. Additionally, it conducts coolant through to the cylinders in order to reduce the temperature of the engine. The intake manifold is attached to the top of the engine by the intake manifold gasket, which has to be monitored as it is susceptible to cracking under the heat and pressure and allowing coolant or oil to escape. How Does an Intake Manifold Work? The intake manifold uses pistons to conduct the air-fuel mixture and the coolant through the engine block via the valves to the relevant areas. It is important that these mixtures are distributed evenly, otherwise the engine will not work as efficiently. Why Do Intake Manifolds Fail? Intake manifolds fail because of the high levels of constantly-changing heat and pressure they are subjected to on a daily basis. The strain they are put under inevitably leads to cracks developing – it is up to the driver to diagnose the problem and deal with it at the earliest opportunity. Although your intake manifold could be the source of your engine troubles, it might not be the only component you need to take a look at. Select an engine part in the interactive diagram below to explore your engine and the important components that keep everything ticking over.